The Sonoma County Winegrowers are proud to recognize Ponciano Ramirez of Vimark Vineyards for winning first place honors at the 17th Annual Sonoma County Pruning Championship held on Friday, February 12 at Shone Farms, a certified sustainable vineyard owned by the Santa Rosa Junior College. More than 160 grape growers, wine industry representatives, community members, media, and others were on hand to cheer on the winners. 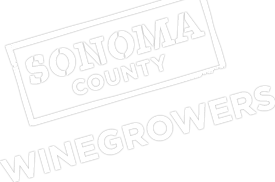 There were 50 talented pruners in the competition from throughout Sonoma County’s 17 AVA’s and regions. All of them showed their incredible skills and talent of pruning vines with speed, precision, and accuracy. Nothing is more significant than the craft of vine pruning that sets the stage for quality wine grapes every vintage and we’re proud of our vineyard employee’s dedication and hard work. These top 8 finishers received a combined $2,450 in prize money, plus special gift baskets.